Intuit QuickBooks® Premier, the #1 small business accounting software. 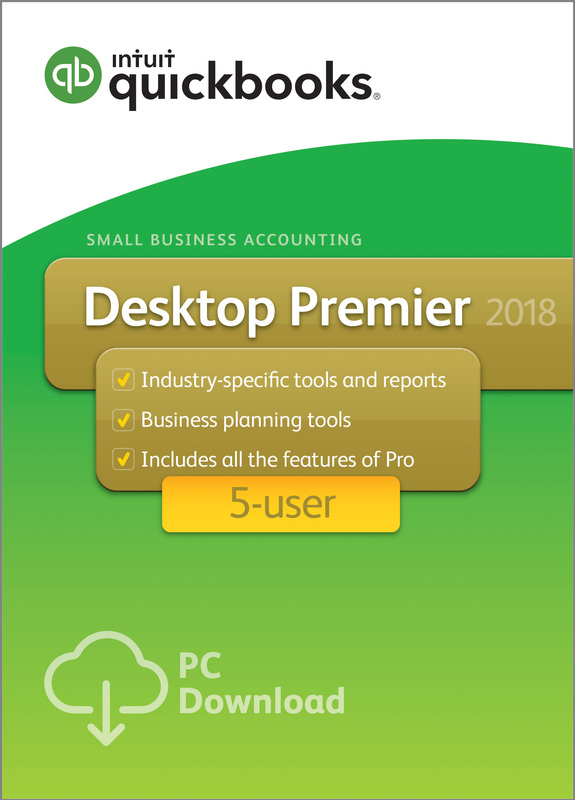 QuickBooks Premier has all of the great features and functionality of QuickBooks Pro, plus deeper, more tailored reports based on industry, including more than 150 sales, financial and tax reports. It includes customizable tools for tracking inventory, creating purchase orders, and setting pricing levels, while also offering automatic forecasting of future sales, expenses and growth opportunities.